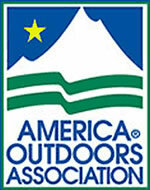 Born from the airline industry-now serving everyone with passion for the mountains. We are guiding on five continents of the world; from short climbs in the Cascade Mountains, to long treks in Patagonia, Himalaya and The Andes. Live your Dreams-If Not NOW? Then, WHEN? 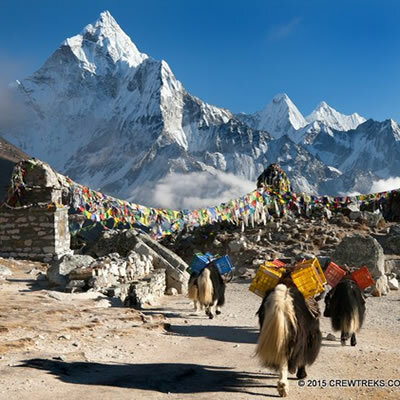 Crew Treks offers thrilling trekking and climbing adventures and takes you to the remotest alpine wilderness in the world?from Peru and Mexico in the Western hemisphere, to Tanzania and Nepal in the East, including the world-renowned Himalayan Mountains and Everest Base Camps. Experience the breath-taking beauty of the most rugged and serene landscapes on the planet, and walk the same exhilarating trails taken by the earliest alpine explorers! Please join Crew Treks on this idyllic trip to the heart of Himalaya. Visit Sherpa villages, climb peaks, and get up close and personal with Himalaya's giants: Lhotse, Cho-Oyu and Everest! At 20574' (6271m), Nevado de Salkantay is the tallest and most majestic mountain in the Cordillera Vilcabamba range and the backdrop for a new variation on the trek to Machu Picchu. 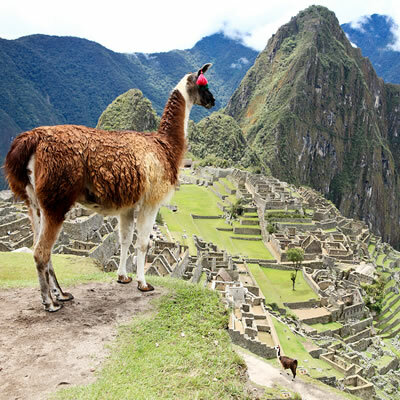 This journey travels off the beaten track, away from the crowds found on the Inca Trail. It offers a true view of the Peruvian mountains with spectacular vistas and provides the feeling of adventure and remoteness the Inca Trail has lost. The trek starts in Cusco as per the standard trip itinerary and ends with a full day at Machu Picchu. It's a great way to see the best of both worlds. Please Join Crew Treks on this trip in famous Torres del Paine National Park, and experience one of the most spectacular trekking destinations in the world. 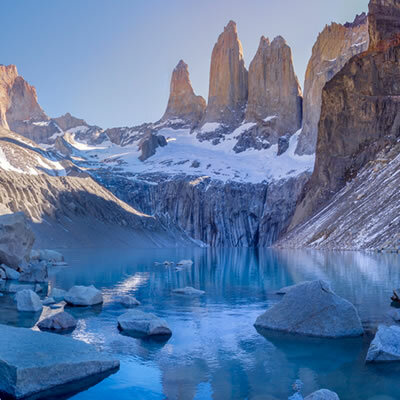 The granite massifs of Torres del Paine will leave you breathless as you witness the spellbinding beauty of these peaks from the numerous trails and vantage points. The famous W circuit lets you experience the best of Torres del Paine trekking. Please note, this trip is loaded with side trips; Santiago bike tour, kayaking on Lk Grey and trip to penguin sanctuary on Margherita Island. Join our team on this milestone trek to the top of Africa. 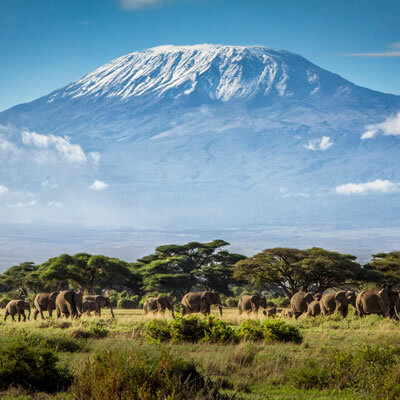 Kilimanjaro rises dramatically above the vast African plains, as it stands majestically as one of the 'seven summits' of the world at 19,340 ft. We will follow rewarding 7-day trek up the lovely Machame route, a non-technical climb. Crew Treks team of top African guides, with their delightful personalities and gentle encouragement along with their in-depth knowledge of mountaineering, ensure that you have strong odds of summiting. An extra day is built in for acclimatization. All who climb Kilimanjaro feel a deep sense of accomplishment. Join us on the "roof of Africa!" Crew Treks Russian/English Speaking Team invite you to join their expedition to the top of Europe. Mt Elbrus at 5,642m (18,510ft)located in the Caucasus Mountainsis is the highest peak in Europe and one of the Seven Summits. It is located several miles north of the main crest of the Central Caucasus Mountains in the Russian Republics of Kabardino-Balkaria and Karachay-Cherkessia. While we acclimatize and climb the mountain, we will have opportunities to explore Eastern European culture, customs and fantastic cuisine. 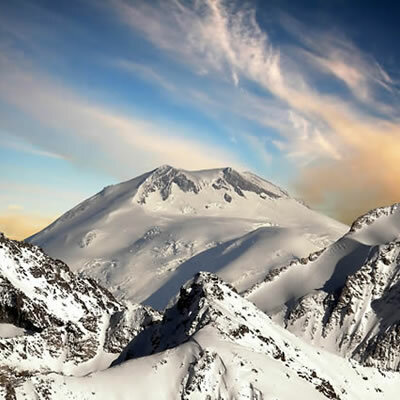 Although Mt Elbrus is considered non-technical climb, its size, altitude and unpredictable weather make this a serious accent. We will follow the standard Southern Route on a 9-day climb to the top and in the process we will review basic glacier skills.